The value of the grocery market rose by 2.0% during the past quarter compared to last year. The latest grocery market share figures from Kantar Worldpanel in Ireland, published today for the 12 weeks ending 16 July 2017, show that the market continues to grow despite deepening price deflation. 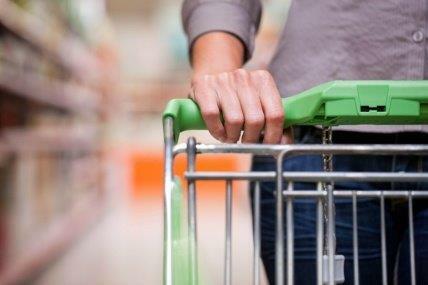 The value of the grocery market rose by 2.0% during the past quarter compared to last year, with the sector worth €2.34 billion over the 12 weeks – up €45 million on last year. SuperValu remains in the top spot for the 8th consecutive period; and as shoppers’ money continues to stretch further, the grocer has managed to increase its sales by 0.2% over the past quarter. However, compared with this time last year, SuperValu’s market share has dropped 0.3 percentage points to stand at 22.1%. In second position, Tesco captured 21.9% market share, with a 0.4 percentage point lead over Dunnes Stores in third place. Value sales at Tesco increased by 2.0% during the past quarter as consumers made one extra visit on average to the retailer, and continued to buy more each time they shopped. Cora Campbell continues: “Despite seeing a drop in shopper numbers again this quarter, Dunnes Stores continued its strong sales growth, up 3.0%. Dunnes shoppers spent 8% more – €36.80 on average – with the grocer during the latest quarter, and also visited the retailer slightly more often on average than this time last year.